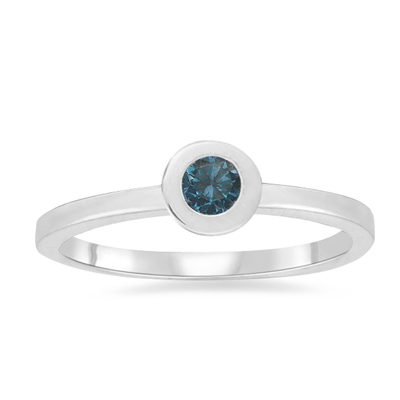 0.20 Cts Teal Blue Diamond Stack Band in 14K White Gold . This beautiful Teal Blue Diamond Band displays an AA quality Teal Blue Diamond bezel set in 14K White Gold. Approximate Teal Blue Weight: 0.20 Carats. 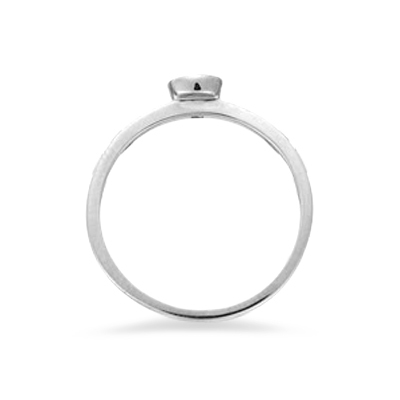 A timeless classic to dazzle with every moment.